Eight years after Graceling, Bitterblue is now queen of Monsea. But the influence of her father, a violent psychopath with mind-altering abilities, lives on. Her advisors, who have run things since Leck died, believe in a forward-thinking plan: Pardon all who committed terrible acts under Leck’s reign, and forget anything bad ever happened. But when Bitterblue begins sneaking outside the castle—disguised and alone—to walk the streets of her own city, she starts realizing that the kingdom has been under the thirty-five-year spell of a madman, and the only way to move forward is to revisit the past. 1. (+) Bitterblue, the protagonist - The focus of this book is on how Bitterblue needs to be emotionally and mentally strong, enough to pull her country from ruin. With Fire and Katsa, the focus was more on their special skills and how they, as protagonists, needed to accept themselves for who they were. Bitterblue is a refreshingly strong protagonist who's not sword-wielding (well, only to some extent, that is) when most YA protagonists now are either the Bella type or the Katniss type. 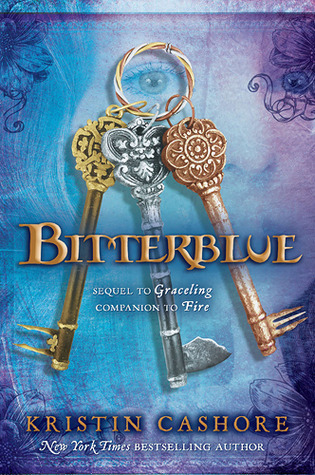 Bitterblue is her own, and she's dealing with the ghosts of the past, her father's legacy and the weight of her own ignorance. She's incredibly easy to sympathize with as she tries to try how to rule an entire nation. She is the most compassionate of Ms. Cashore's heroines, and her self-doubts and independence make for a wonderful POV. 2. (+) World-building - I was afraid that Bitterblue, set in Monsea, may have repetitive elements from Graceling, but the world-building here is just as spectacular as ever before in the previous Graceling Realm books. The exploration of the castle, its mazes and Leck's strange rooms and portraits, were wondrous and frightening, and quite fitting for Leck and the tradition he'd left behind. Bitterblue's exploits into the city showed more of the Graceling world and Monsean customs that had been lost to history thanks to Leck's destructive efforts. Even the details of ruling, what was required of Bitterblue as queen, were fantastic to experience. Every little detail was just as great and easy to imagine as those in the previous Graceling Realm books. 3. 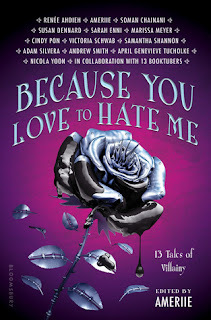 (+/-) The Romance - I love Kristin Cashore's writing, and she really knows how to tell a steamy and long romantic story, but I have to say I'm feeling a teensy bit let-down. The romance was appropriate for the story - both characters stayed true to themselves and Cashore does have a way of making characters seem charming in their own way - but it wasn't as hopeful as it was in Fire and Graceling. I sometimes found myself enjoying the banter/chats Bitterblue has with another male character more rather than those with the primary romantic interest (perhaps because there's a clear distinction between Bitterblue's potential romantic future, her duty as queen, and the romantic interest in the present). There was something missing with this romance. I think I didn't feel their chemistry as much as I did for the other characters in her previous books, though the romantic interest was well-developed and his own character. 4. (+) Cameos - I didn't like Giddon based on how he was in Graceling, but I really liked him here. And Po! Oh, Po--he really steals the show sometimes. Katsa, on the other hand, kind of bothered me with the way she was acting, but in general I really enjoyed the cameos. There's also Raffin and Bann and Helen, not to mention all the other new characters we meet who, as always with a Kristin Cashore book, feel realistic and well-developed. 5. (+) Themes/Character Development - Some of the best parts of all Kristin Cashore books are the themes she tackles and getting to see the protagonist's character developed. The loss/grief, getting over the ignorance, the confusion, learning how to rule a kingdom, how to hold onto herself in the face of such cruelty and how to rebuild her society and move on -- all beautifully done. 6. (+) The Prologue - One of the best written scenes I've ever read and definitely the best (and most disturbing) scene of the entire book. So horrifying and so well-done to make real the cruelty of Leck and his power. If you don't have a copy of Bitterblue yet, you can read the prologue here. 7. (+) The Plot - One review that I had read before reading Bitterblue said that its plot was too convoluted for its own good, but I respectfully disagree. I've always enjoyed Cashore's plot twists, and she has plenty of them up her sleeve in this book too. One thing I will say is that the ciphers confused me when they came up, so I ignored/skipped them and continued reading. 8. (+) The Writing - It's Kristin Cashore. I wish I could write like she does. One review called her writing "textured" and this is so very true, the way she encompasses character development, character-driven stories along with a complex plot that's riddled with twists and keeps you getting. 9. (+/-) Pacing - I got quite a bit antsy waiting for things to pick up... but it is a pretty consistent pace throughout, so long as you're not bored by that. Most of Ms. Cashore's stories are slower paced than the typical young adult fare, but they're well worth the wait. 10. (+) The Cover - I like that all the covers seem to match... but the UK ones are still the nicest. The keys are certainly nice, but I'm not a fan of the weirdly feminine grunge. It's what kept me from picking up her books when I'd first seen them in a store. Another great Kristin Cashore book, but I enjoyed reading Fire and Graceling more than I did Bitterblue. Still worth the wait though, and I have the utmost respect for Kristin Cashore and her writing. All of her books--anything she writes--I will read and love for all time. Her books are not like what you'd typically find in the young adult section. They are wonderful, her character casts absolutely lovely. Characterization is one of her strengths, and that comes from her writing, which is simplistic but beautiful in its simplicity. Her books are populated with people who are both familiar and unique all at once, and somehow they are also modern and timeless at all once. Beautiful writing, characters, world-building (all the politics and court intrigue and fantasy explorations of power dynamics, internal and external). Her heroines are wily and strong, and wonderful for the budding feminist. Bitterblue was another great addition to the resume of Cashore work, even if the romance was not quite as fulfilling and the plot a tad less engaging. Nice. Sounds like another great book. What I loved about Cashore's previous books, "Graceling" and "Fire", was that they were rousing, fast-paced and smart. The very subject matter--killer Graced girl, beautiful, mind-reading monster--were enough to hook readers. And the simple yet eloquent writing and excellent plotting kept us hooked. "Bitterblue" is a smart book, but it gets tangled up its own complicated plot and ends up being quite a convoluted read. The book struck me as less a YA fantasy and more an adult fantasy. Not because it features adults, but because it seemed more concerned with politics, plots and secrets than with any sort of character development. Much of "Bitterblue" was mired in the minute detail of what it must be like for a queen to run a kingdom. Just think--if Bitterblue is bored by the piles of paper and ridiculous problems her advisers bring her, then how is a reader going to feel about them? I imagine it's quite difficult to write about a queen without discussing such tedious topics. However other writers, most notably Cinda Williams Chima in the Gray Wolf series, manage it quite well. As I read "Bitterblue" I wanted desperately for things to get more interesting instead of more confusing.